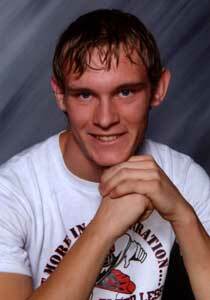 Michael Ray Ellison age 29 of Osawatomie, KS died Tuesday September 25, 2018 at Ransom Memorial Hospital, Ottawa, KS. attended school in the Osawatomie School District. He graduated with the Osawatomie High School Class of 2007. After high school, Michael went to work as a Sanitation Engineer for L & K services. Then he became a Line Splicer for AT&T. Michael then became an Aerial Lineman for Ervin Cable Construction. but Michael was a great step father to his step daughter JaLynn. Michael enjoyed fishing, hunting and spending time with his family. He was a loving father and a great husband. He was preceded in death by his paternal grandmother Roberta Haag and Step-Mother Kimberley Ellison. Survivors include wife Meranda of the home, daughters JaLynn Baldwin and Bristol Ellison both also of the home. Stacy Dozier aunt, Jon Dozier uncle, Alisha Lockhard sister, Trenton Wolverton brother.